The call to prayer rings out starting at 5:00 a.m., and then several more times throughout the day. I thought it might bother or disturb me somehow, because there is no way to escape the loud broadcast. But as a person of faith myself, after three years of living in China, officially an atheistic country, I find surprise in the comfort of being surround by people so filled with strong personal beliefs that they stop everything to pause and pray six times a day. Is it because they want to? Or because they must? I can't answer that the same way I can't answer why people who share my own faith do some pretty rotten things in the name of "Christianity." I was told the traffic here is SO BAD. That it will make me want to cry. And yeah, it's nuts, full stop. However, there is order to it, which cannot be said about the traffic in Shanghai. Yesterday I witnessed people standing on the side of the road, holding out their hands to stop traffic so they can cross the street or to allow a car to pull into oncoming traffic. And, to my incredible surprise, the cars stopped. 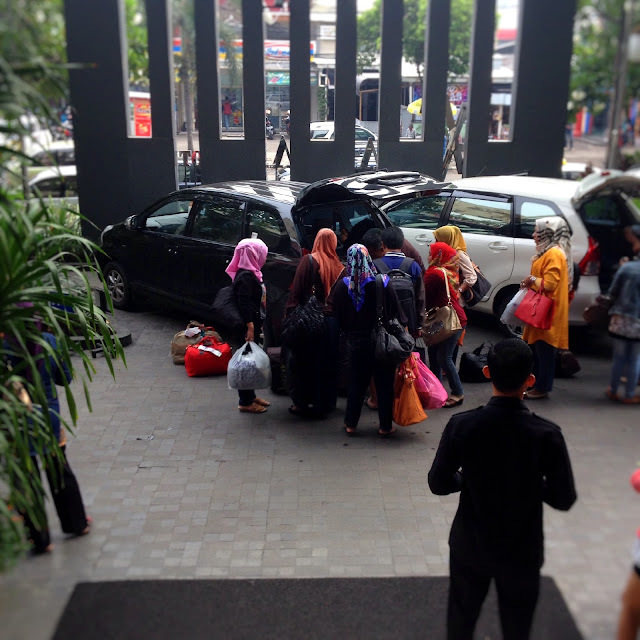 Vehicles yielding to humans??? What a novel idea! I'm a big supporter and advocate of art in public spaces. 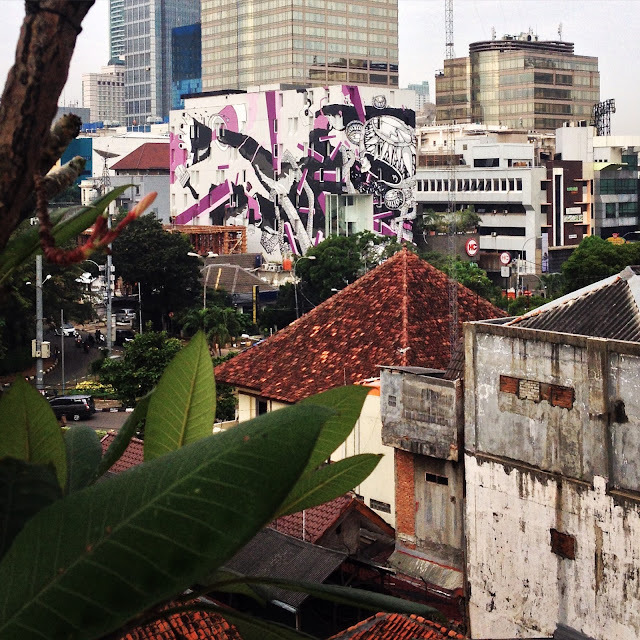 What I've loved so much about Jakarta so far are the murals that cover buildings and alleys and interior walls. It makes me so happy. 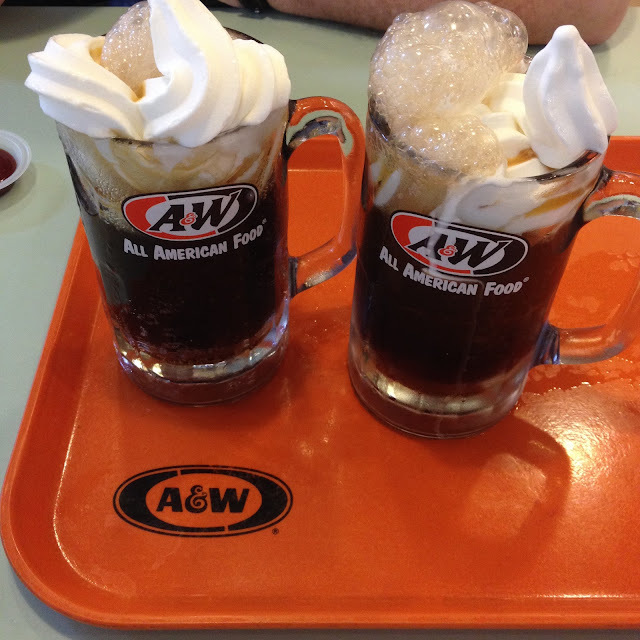 And finally, we'd heard there were A&W Root Beer places here... Fortunately for us, they are everywhere. And we are happy to indulge as frequently as we can. It's been 15+ years since I've had a float at the A&W Rootbeer where my parents used to live on California's Central Coast. The modern float is as good as the one in my memory! 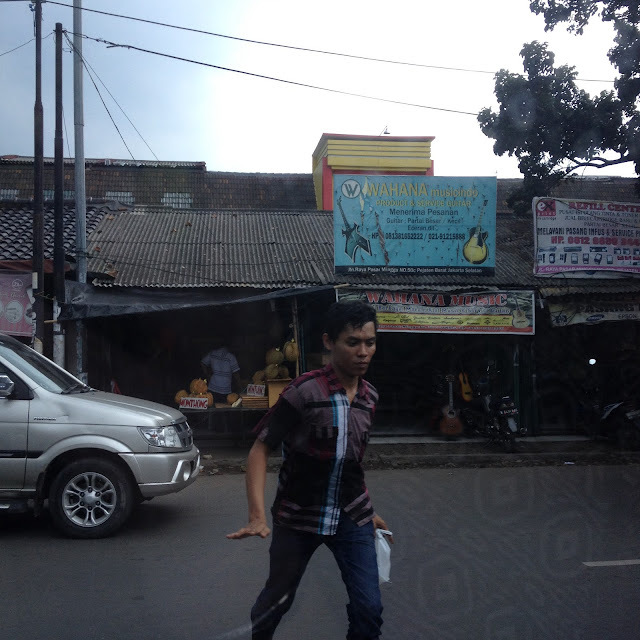 Today we're heading south of Jakarta to an area in the mountainous (volcanic) region of Lido. More to come soon! A&W Root Beer! Is that real? I haven't seen one or had one in years. Sure does look delicious... You are one lucky girl!